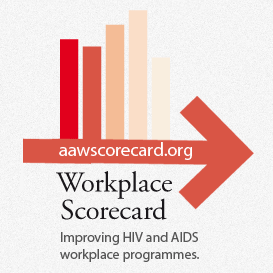 The Accountability Workplace Initiative was established in 2008 to improve HIV and AIDS Workplace Programmes in the countries and sectors most exposed to the disease. Through this initiative, AI will supply companies, organizations, investors and others with toolkits, analysis and good practices and raise awareness for workplace programmes and business accountability to HIV and AIDS among key stakeholders. After two years of expert dialogue and consultation, AI launched a methodology for analyzing data from individual workplaces across different sectors and countries, called the Accountability Workplace Scorecard. The investor toolkit In parallel with the finalization of the Workplace Scorecard, AAI, the UK Development Finance Institution CDC and Rosencrantz & Co. are developing a toolkit on how investors in emerging markets should take HIV and AIDS into account. The tool will be included as an appendix in CDC's Toolkit on ESG for fund managers. The last quarter of the year 2010 was a very productive period for the AI Workplace Scorecard Development Team. We hosted two consultative meetings with team members, one in Johannesburg and one in London, to advance the methodological development of the Business Scorecard. In parallel, AI prepared a pilot study with a group of companies, that was conducted during Jan - March 2011. AI also presented the Workplace Initiative and Business Scorecard at two key events in Johannesburg, South Africa. AI was invited by the Pan African Business Coalition on HIV/AIDS (PABC) to present at the PABC Partner Forum in October 2010. In November 2010, AAI and the International Labour Organisation (ILO) hosted a joint plenary session at the 3rd HIV & AIDS in the Workplace Research Conference. The Workplace Scorecard was applied to five pilot companies and is now being discussed with a large financial services company as a product that they might buy to offer as a service to their clients.